Wood Park Farm may be part of the School of Veterinary Science at the University of Liverpool, but obviously this does not give its livestock immunity from all the usual disease challenges which face any dairy farm. In fact, farm manager John Cameron reflects on a very typical sequence of events as the herd of Holsteins increased in size from about 100-head in the early 2000s, to 220-head today. He says like so many expanding herds, certain parts of the enterprise gradually outgrew the facilities. This was the situation in the calf rearing unit, which gradually became more heavily stocked and experienced progressively more disease. Mr Cameron says: “The old calf buildings were simply being over-used. We did not have the opportunity to empty sheds between batches of calves, the ventilation was not purpose designed and the disease challenge faced by calves became overwhelming. With little effective treatment available for this protozoal infection, he says the main therapy at the farm’s disposal was fluid and electrolyte replacement. 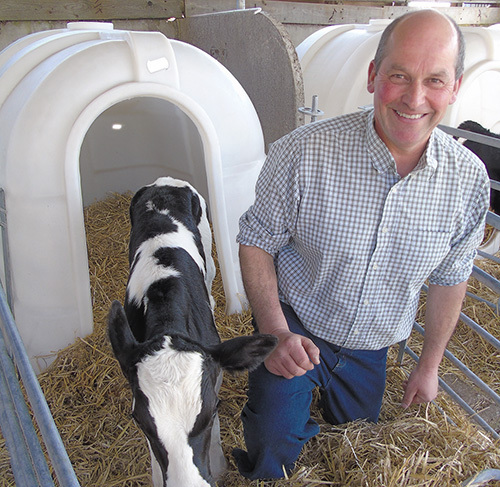 The university farm took the decision to tackle the situation by overhauling its calf rearing enterprise and protocols, at the heart of which was a move away from the old buildings and into calf hutches. Mr Cameron says: “This change was made about 18 months ago, and because of the farm’s teaching and research function, we tried a collection of hutches from five different manufacturers. Calves remain in individual hutches until two weeks of age, then they are moved on to group hutches until they are 12 weeks old. He says: “Other changes include calf jackets for baby calves in hutches. And we have also built home-made verandas over the entrances of group hutches to protect calves from the weather. “I hate to see them looking wet and bedraggled. It cannot be doing them any good.” Colostrum quality and management have also improved, achieved, in particular, by better nutrition in dry cows. “By increasing protein in their ration, we have found colostrum quality has improved,” Mr Cameron says, observing these are 11,500-litre cows (3x) which are working hard through their lactations. As a long-term customer of ForFarmers, the team at the farm took the opportunity to upgrade to a new feed range, switching to a calf milk replacer which includes a specialist health care package called Care+. Rachel Kennerley, ForFarmers’ youngstock specialist, says: “We knew calves at Wood Park Farm were classic examples of stock which would benefit from the Care+ package in the new VITAMILK Omega Gold, as this has been developed with calf health at its core. “Benefits of components of the package have been demonstrated specifically against cryptosporidia and coccidiosis, which is particularly important when, as an industry, we are trying to reduce antimicrobial use. “The calf milk replacer itself is whey-based and supplies high levels of digestible protein, along with a range of four oil sources for optimum digestibility. This nutritional change is backed up by a switch to the premium VITA Start creep feed, which contains the live yeast, Levucell TITAN, which helps stimulate early rumen development. Mr Cameron says: “We have changed the nutrition for weaned heifer calves, moving away from a total mixed ration and switching to haylage with the same range of pellets. “This gives continuity and helps progress the rumen development. 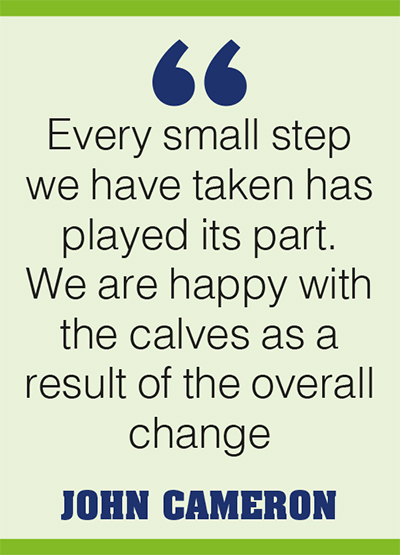 We have definitely seen this reflected in more consistent rates of growth.” In fact, he cites growth rates of 0.8kg/day in heifers from birth to calving, and says the former variability in growth rates among youngstock appears to have gone. Mr Cameron says: “We were trying to address variability with the switch away from the TMR and have achieved this. “We do not see those narrow animals with starey coats any more and, as a group, I have never seen calves and youngstock looking so good.” The upshot is that the first group of youngstock on the new regime has come through to bulling and is now being served. He says: “We bull at 13 months and will actually probably find we have too many animals coming through as we have been quite successful at getting them in-calf.” A final gain from the system has been putting the former calf shed back to good use. 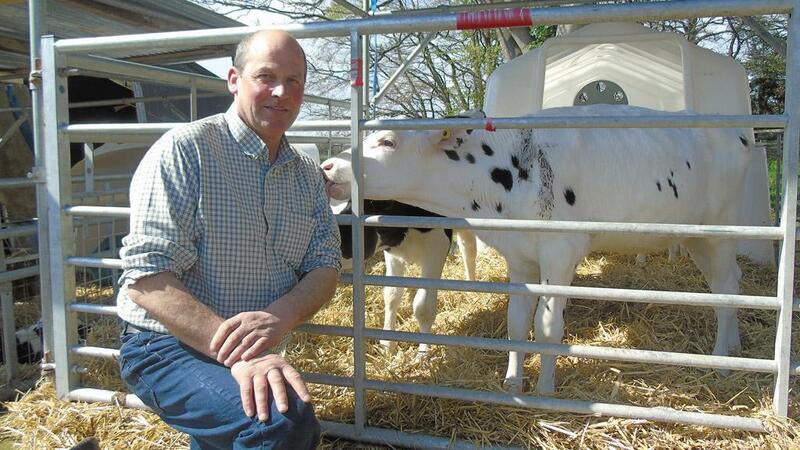 Mr Cameron says: “We now keep weaned calves in the old shed and they do really well in it. We do not have to stock it so densely and the former design compromises of the shed do not seem to affect weaned calves. He is emphatic the improvements seen in the enterprise result from a series of small incremental changes. "We made lots of little changes and it is hard to attribute a particular improvement to a particular change.